Dr. Gale Allen, Acting Chief Scientist, at NASA will be speaking on the SGx Keynote Series at SATELLITE 2018. Dr. Allen was the Deputy Chief Scientist at NASA Headquarters from 2011 – 2016, and is now the Acting Chief Scientist. 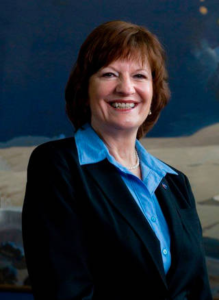 She began her NASA career at the Kennedy Space Center as Chief of the Materials and Chemistry Branch, and served NASA as the Associate Director of Technology Programs and Commercialization. At NASA HQ, Dr. Allen managed the Bioastronautics (human research and life support) Research Program, served as deputy for the Human Systems Research and Technology Program, and Director of the Strategic Integration and Management Division before moving to her current position.